Whether your legal challenge is business-related, financial, personal — or all of these — the first step toward getting your issues taken care of and moving on could start with a free consultation at the Heaton Law Firm in Edmond, Oklahoma. In practice areas ranging from adoptions to estate planning and from bankruptcy to collections, I offer strong legal knowledge and sincere dedication to protecting and pursuing my clients’ best interests. Attorney Cecil Heaton is a longtime oil-and-gas industry veteran. He fulfills clients’ needs for a savvy, efficient title attorney and helps individuals and families resolve a range of other tough legal issues. Clients who come to me are treated like family. I understand that pressures and emotions may be running high for you, and I strive to offer clear counsel and action that relieves those burdens. In all I do — from adoptions to estate planning and from bankruptcy to collections of debts – I respect your needs for frequent communication and absolute discretion. 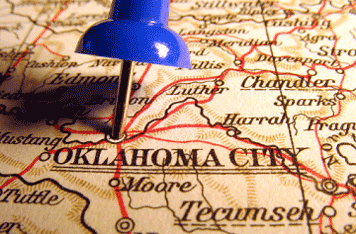 My Edmond location is easily accessible to everyone throughout the state and Oklahoma City area — from Guymon to Grove and Medford to Marietta I am here to help you with your legal issues – adoption to estate planning and bankruptcy to debt collections in every court in the state of Oklahoma, Central, Western, Eastern, Southern and Northern District. All my clients receive personal attention from me, founding attorney Cecil Heaton, beginning with a free initial consultation. Should you decide to work with me after gaining a sense of my style and approach, I will address your needs with my full complement of resources — with goals that include rewarding your trust and making you a client for life.